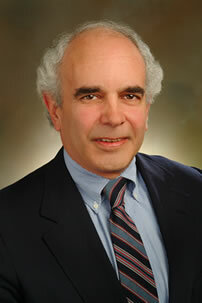 H. Laurence Schwab, M.F.T., L.M.F.T. Intensive Couples Counseling with a Licensed Marriage and Family Therapist, in Wilmington, Delaware or Media, Pennsylvania. Six hours of counseling as a package. Shorter commitments to fit your budget. Scheduled in advance or at our first meeting. 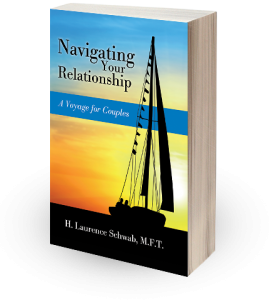 Needing to Rescue Your Relationship? Visit my comfortable suburban office for Intensive Counseling that fits your schedule. When your partnership is in deep trouble, you may find that you have a hard time addressing issues adequately in occasional sessions with a marriage counselor. Partnerships in crisis may need a concentrated effort that dives deeper into issues and offers relief from the draining emotional dynamics that can cause irreparable damage to your relationship. Let’s agree in advance to meet for several hours and make a commitment to work together as I present specific tools and ideas that I have developed over 23 years of working with couples. If your relationship is in a vulnerable situation, you may want to consider intensive counseling at one of my offices, either in Media, PA, or in Wilmington, DE, to heal the emotional damage, and set you and your partner on a better course. We can visit both with your partner and individually, if that would be helpful, so that we can get a clear idea of your difficulties and how to resolve them. I will listen carefully to your story, offer a comprehensive therapeutic workshop that will be geared to your specific needs, and go to the heart of your specific problems as quickly as possible. I charge $800 for the six-hour package that we schedule in advance. This is often enough time to clarify your core issues and reduce tension. Don’t let finances stop you. We can make other plans to fit your budget. We can start with a shorter commitment if that fits your budget better. We can also set up a preliminary visit for an hour to begin the treatment, discuss our plans and make a schedule. You will emerge with plenty to discuss, exercises and tasks to try together, and probably an appointment for a later check-in to see how you are doing. Is one focused workshop enough when we’ve had problems for years? I have worked successfully with hundreds of couples over more than 25 years in clinical practice. If both of you work intentionally to keep your partnership together, the chance for a successful outcome is excellent. Even if only one of you is deeply committed to saving the relationship, the chances for a positive outcome are still good. You will both learn a great deal about relationships and those lessons have real value in all aspects of your life. My goal is to reverse the spiral your relationship is in, so it begins to spiral in a positive direction. I will give you ways to address your issues in a safe way, without having disagreements escalate into a major fight. I will also give you memorable ways to defuse difficult moments, and make yourselves focus on the relationship you want for yourselves. At the very least, you will have a useful roadmap for reversing direction, and an important shared experience. I offer a thoughtful experience, full of ideas and stimulating content that has helped many other couples who have felt helpless, disappointed, angry and stuck. I consistently hear that couples are grateful for the experience and find that they are more hopeful after they have met with me. I simply ask that you take your partnership seriously and that you have an open mind about ways you can make changes, with help, for you and your partner. The more open and honest you can be with me and your partner, the more helpful the workshop will be. After an intensive experience like this, we will all know better how much damage has been done, and how much work there is to do, and hopefully also see a way to get that work done, so that you leave with a sense that it is possible to heal the wounds, reverse the cycle, and have the relationship you have wanted from the beginning. If you are stuck, and need to try a private and focused experience, call (302) 654-7155 or (610) 565-1628 to make an appointment for your own intensive intensive marriage counseling package. Mr. Schwab will help you take advantage of health insurance by issuing a receipt that can be used to make out-of-network claims. Larry Schwab sees clients at his offices in Media PA and Wilmington DE. In Wilmington, he serves clients from the surrounding areas of Chadds Ford and West Chester, Pennsylvania, as well as the state of Delaware, southern New Jersey, northern Maryland, and as far north as Lancaster County, Pennsylvania and the suburbs of Philadelphia.